Some time ago, I started playing around with the connection between Google Earth and ArcGIS. 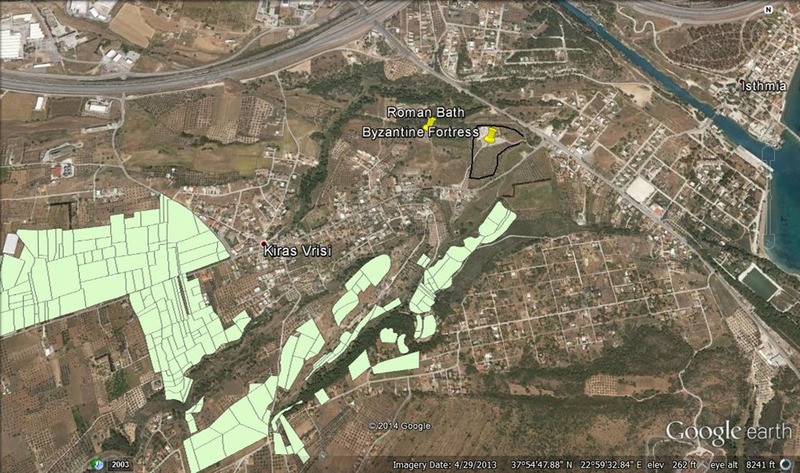 You can easily export GIS layers as a KMZ file that will open in Google Earth. It provides another interesting way to view and analyze data spatially, and the files can be shared quickly with other Google Earth Users. Consider, for example, this digital map of Harrisburg, PA, which projects a GIS layer of the city as it appeared in 1900 over the modern urbanscape. As part of a new Digital Harrisburg initiative at my college, we’ve been linking the population recorded in US Census Data from the turn of the 20th century with to digitized maps of the city. 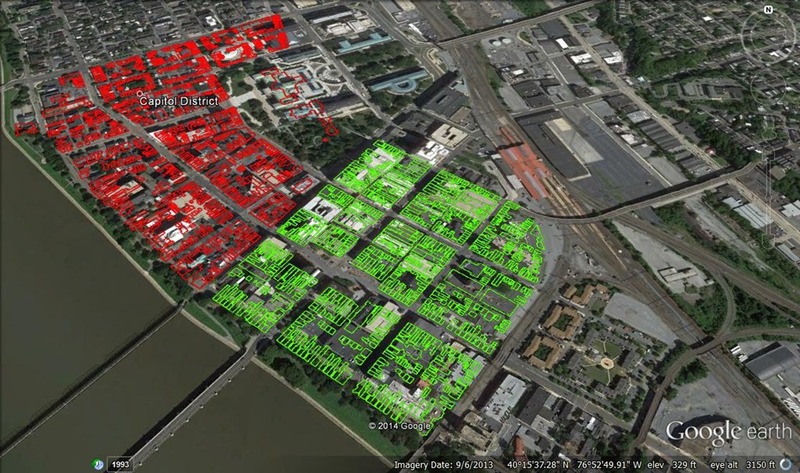 The shape files of two wards projected over recent satellite images of the capital of Pennsylvania show how much the city has changed in the last century. I hadn’t done this kind of thing for the Corinthia until I started playing around with it last week. Here’s an aerial of the Isthmus of Corinth. 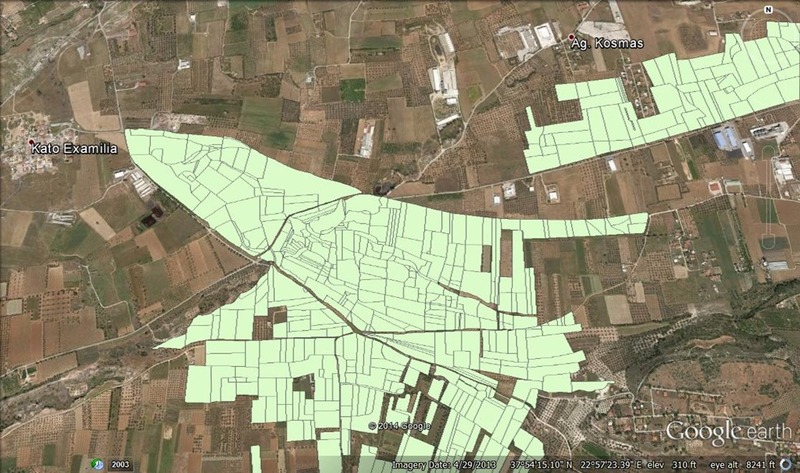 Light green shade represents the survey units of the Eastern Korinthia Archaeological Survey. 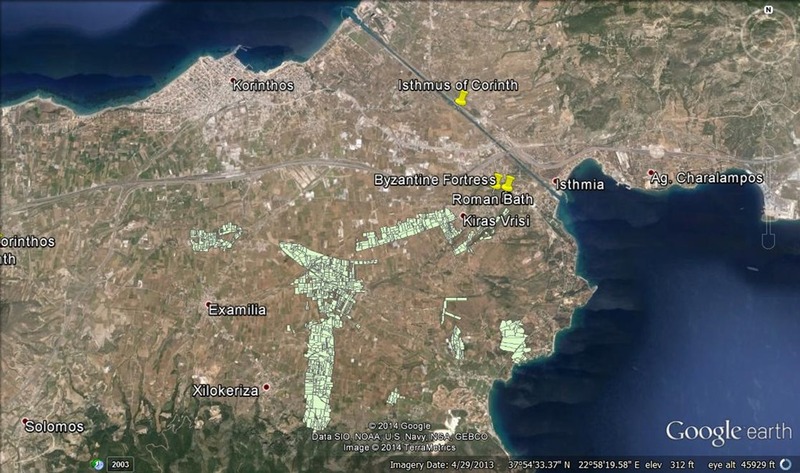 And a closer view of the images in the areas of Kromna, Perdikaria, the ancient quarries, and on the Corinth-Isthmia road. Another view of the proximity of these survey units to Isthmia: the Rman Bath and Bzyantine fortress are clearly labeled. 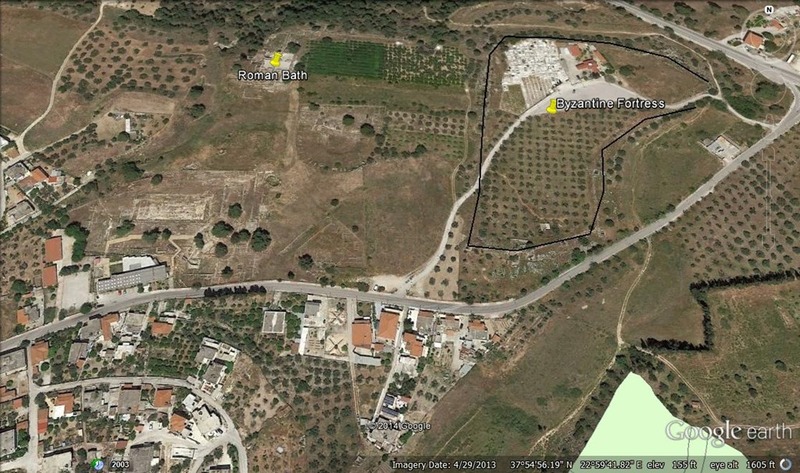 And if you have never seen the site of Isthmia from the air, it’s splendid. You can make out the fully excavated area. The light green shade in the lower right represents nearby EKAS survey units. At some point in the not too distant future, I’ll release some of the cultural data I’ve been collecting in GIS—like sites, canals, walls, and the isthmuses of the ancient Mediterranean—as KMZ files. No promises on when. I’m never on time. This is great!! As you know, all of our PKAP data went to Open Context as KMZ files so we’re ready there – for some point in the future – to make PKAP survey data available to anyone who has Google Earth. I’m not necessarily saying that this is a good idea, but the barriers to the dissemination and use of spatial data continue to collapse.